Lancaster Colony's wholly-owned subsidiaries, including T. Marzetti Company, produce and market high quality national and regionally-branded food products throughout the United States for the retail and foodservice markets. 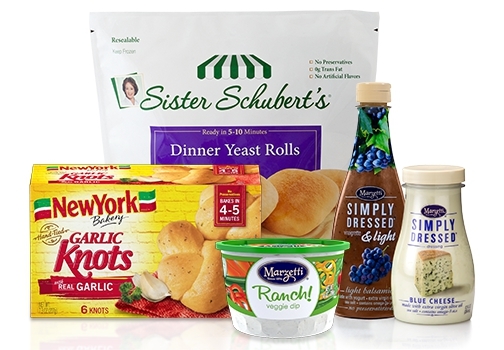 Most of our products sold through the retail channel are marketed under the company's popular brand names, such as Marzetti®, New York Brand® Bakery, Sister Schubert’s® and Flatout®. For more information visit tmarzetti.com, marzetti.com and marzettifoodservice.com.